I miss painting in the studio. The last two years have meant a lot of travel and adventure for me and my family. I am seeing, experiencing so much and taking it all in, but the sacrifice is lack of studio time for me. This winter I have worked on a few paintings, but there just isn’t enough time on land, in one place to make a dent the way I would like. 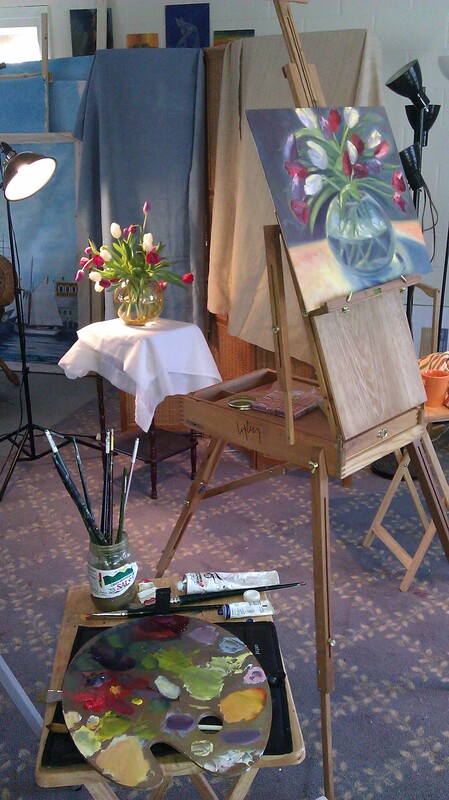 I treasure the days of painting with Trish and the gang in the old studio space… how wonderful it was! They were the most accepting and supportive group one could ask for. I look forward to painting en plein air with my old friends again this summer. Perhaps the studio time will come around for me again sometime.